I love a good lawn. Lawn which you can curl your toes into. It needs to be green and luscious, free of bindies and preferably nicely mowed. After living in our little temporary house (with no back yard), I am looking forward to having a nice green space for the kids to play freely, at the new house. When an email from Turf Australia, landed in my in-box asking if I was interested in a turf consultation with my local grower, I jumped at the opportunity. Hubby and I had been talking about our lawn and landscaping plans, only a few days earlier. It was fate. Or karma. Or maybe the stars had just aligned at the right time. Who knows. I wrote back saying yes, yes, yes. Thank you. So, on a sunny day last week (before the rain came bucketing down) Marcus from Turf Co, came out to meet with me and hubby. It is difficult, through all the mud, to envision a lawn, but luckily Marcus could and knows how we can achieve the perfect, green, backyard. First step is to consider the soil where the turf will be laid. To me, our backyard is just dirt littered with builders rubble. Broken pieces of bricks. Piles of roof tiles. Random bits of timber. Scattered… stuff. Just lot’s of bits of stuff. But to a trained eye,our backyard says so much more. We have soil with a lot of clay in it. This is not good for lush, green, healthy lawn. Clay doesn’t let the water in or the grass roots to spread and flourish. This explains all of the big puddles when it rains. Like now. I drove by the house this afternoon, and after 4 days of solid rain, it looks like a moat is surrounding the house. To get a good lawn, we need to break up all of the clay. It needs to be mixed up with gypsum to make the soil more light and fluffy - like a good cake. Now I could send hubby out to do this and watch the show, but Marcus advised me their turf machinery would do the job in a few short hours - not days. Once the soil is prepared more soil is placed on top to give a good growing surface, this is packed with nutrients and water retaining crystals to help in drought tolerance. Next question, which grass do we choose? For our local environment, we have three main choices: Couch, Kikuyu, Buffalo (all areas have their own specific grass types). Personally, all I wanted green so any of the three would be fine, but there is more to it than that. We were asked what the lawn would be used for? How much sun it would get? Did we have pets? That sort of thing. For us, our main need is for a hard wearing lawn, for the kids to run, play and for future soccer games. Given our circumstances, Marcus advised us, that Kikuyu or Sir Walter Buffalo were our best options. We decided to go with the Sir Walter as it is a beautiful emerald colour, self repairing and hard wearing, requires minimal watering, less susceptible to allergies than other turf varieties and grows a thick ground matt to keep the weeds out. Hubby and Marcus then discussed lawn maintenance whilst I may or may not have glazed over, while staring at my sewing room and dreaming of where my sewing machines and quilt frame will go. Back out of my day dream, I discovered that my dad’s need to cut the grass, as short as possible, isn’t the right way to go about it. We’re only meant to cut a maximum of 1/3 of the length of the blade. Just a trim. Now, I cant wait for the house to be finished, the builders fencing to come down and Turf Co to move in and give me a beautiful green quilt... ummm… I mean lawn, to surrounding my house. With thanks to Turf Australia, I have a $250 Bunnings voucher to giveaway to a lucky Samelia’s Mum reader. What will you buy if you win the $250 Bunnings voucher? You can enter the giveaway, once per day, so long as you have a different answer each day. At my parent's place, their verandah is made with a tiled surface that, when wet, can become very slippery. My own daughters have often slipped, and now, in the cooler months, its always a concern that one of my elderly parents may have a fall. With the remainder of the voucher, I would love to get my three beautiful young daughters to choose some blooms and herbs/vegies to plant in our garden. Thanks for the opportunity. 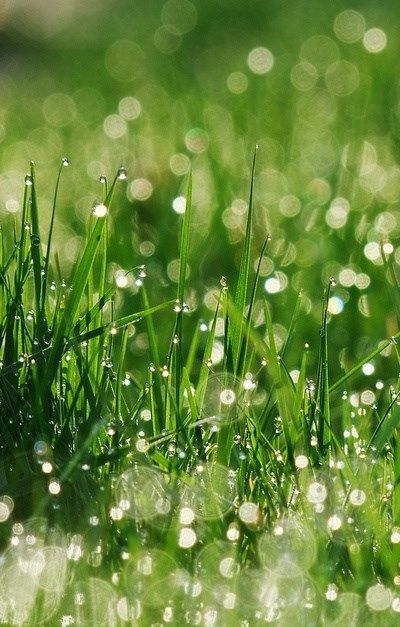 I agree, a lush green lawn is a thing of true beauty. I love Bunnings and could easily spend that voucher. The garden section is my favourite spot so I would spend there. I'd love a water feature, so that's my choice today. I'd love to get the vegie garden up and going again. So plants would be my choice. Along with some proper gardening tools. Thanks for the lovely giveaway. I'm sure your new lawn will be lovely, with all that planning from the get go it should get a great start! What bliss, $250 to spend at Bunnings. I'd love to brighten up my pergola a bit so some nice big new planter pots and plants would be lovely (if I could keep my hubby out of the tool section!) but I'm sure I could find something at Bunnings to use in my quilting too - perhaps the makings of a nice design wall, oh and a staple gun - I've never had one but I know I could have a ball with one! We are planning to make a secluded parents retreat in our yard to have a toy-free relaxing area where we can enjoy a cup of coffee. To do this we need a lot of things including hedging plants, pavers, plants, a fountain, and relaxing chairs. Bunnings have nearly sll of these so the gift voucher would go a long way towards making my wife's dream come true. A Bunnings voucher to win would be wonderful, with moving to Melbourne next month I need storage solutions. Packing fabric, tools, books and magazines, I know Bunnings has great tubs that would keep all my precious cargo clean dry and easy to access when moved. Love that your house is getting there and your lawn and garden will look great. Definitely a visit to the garden section would be in order. But they also have craft items, so that would require a little visit, too. I'm trying to transform an old cupboard into a dress up storage area for my girls so I need to buy some wood and dowel and paint! Oh and some gorgeous handles for the drawer sides. I would love to buy a small table and chairs to put out on our front lawn to sit at and enjoy the sunshine while reading a book. Ooh, great choice with the Sir Walter lawn. It will look amazing :) In answer to your question, I would buy the router table thingy that my husband has his eye on. He's been wanting it for a while but it's just not in our budget right now. Oh, and a lock. For my bedroom door. Because there's nowhere in this house for me to hide! I envy you your beautiful, soon to be, lawn. Goodness only knows what mine is. I'm in desperate need of some decent gardening tools. We just redid our patio with old bricks from my father in laws house - and left a little space at the end for a vegetable patch - about 4x4 metres. So I will use it for making the children a vege patch they can move around in and pick things off vines! That is so exciting to choose the lawn for your new house! If I won, I would buy retainer blocks to level the yard and help with drainage and put some more gardens in :)I too have clay soil but no one thought to mix gypsum in first. I can't wait to choose the lawn for our new house whenever we end up building! What an awesome giveaway... I would buy a new tap for my bathroom as i broke the hot water tap a few weeks back and now all we get to wash our faces with is cold water during winter! And we live in Melbourne so its extra cold in the morning! Unselfishly, I would use it to get the tools that my husband needs and the storage to put it all in, so that his shed was the man cave that he dreams about. I never spend anything on myself so I think I would put half the voucher towards lots of lovely new canvases and acrylic paints for me. I feel an art attack coming on! The other half I would let my hubby use to finish filling up our gardens with plants. Driveway stuff!! I am mega busting to revamp our rock driveway. Desperately need rocks, pavers to edge, and plants to pretty it up. Maybe even a shrubbery! (And the number shall be 2, not 1 and not 3, but 2). CHEERS! I would spend it on shelves and cabinets. One thing we did not know when decorating the house 5 years ago was how much storage we need once we have a kid. The shelves will make the unit liveable again, less traps on the floor. Lol! I too love a good, thick, lawn ... rather the opposite to our patchy one :) Thankfully it's mostly okay, just patchy in places. I can think of any number of things I could get with a $250 voucher from Bunnings ... maybe another cupboard to store/organise my craft magazines ... a new shower head (actually, the type that has a hose attached to it so you can remove it from the wall to wash the kids' hair!!) ... donate it to my parent's renovation of the granny flat ... get some above-ground beds to have some garden beds close to the house for things we regularly use in our menus rather than having to go out the back (herbs, tomatoes) ... maybe the parts to build myself a lightbox for my applique and stitchery transfers :) LOADS of ideas, lol! Fantastic giveaway! If I won I would put it towards a rainwater tank. It's so dry here and water charges are always going up. What a generous giveaway.If I won I think I would spend it on new taps for our bathroom. We have just retired and relocated from the NT to SE Qld and there are lots of projects to do in our new older home. I would buy some new light fittings for my house as mine really need a revamp. I love this giveaway! I would get sleepers to give my wrecked garden an edge, new plants and mulch! It would mean so much to my family, our garden has looked like a construction site for the last 4 years, ever since we started renovating...and the end is not in sight so the garden is on the end of a long list. What wouldn't I buy from bunnies (as my daughter calls it)? thanks for the giveaway! I want a little two seat patio setting so on these winter days I can sit in the sheltered little area outside my laundry door and soak up what sun & vitamin D is available in winter. Fruit trees and scrubs. Last year we moved to 2.5 acres and we have LOTS of grass. (not to make you jealous, ha ha!) but not a lot of trees. Since we've got the space I've been buying a small citrus, berry or nut tree once a week (they're $20 - $30 each at my Bunnings) which will also give us some privacy. I'd buy 10 for $250. How exciting! I would love to buy boards for my son to break at Tae Kwon Do, they cost a lot for things that get broken, and he is prettyy good at it too! It would be great to have a break from paying for them for a while! I built last year so I really need to install some soakwells before I start on the rest of the outdoor area. I have an old cupboard I'd like to do up. I know Bunnings will have all I need. We would really love to put a new roof over our spa, the current one is green and looks horrible! What would we buy? Well a trip to Bunnings is an exciting one for my Hubby. He used to go every weekend but now we like 1600kms from one so when he goes he has a HUGE list. On it at the moment is gardening supplies, a new grinder and some sandpit sand. By the time we do get to visit a store the list will include much much more! A new outdoor setting would be my choice. What could be nicer than sitting outside, having a cuppa, taking some time for ones self and having nothing better to do than to watch the garden grow. We would purchase a gate so our kids can play out the back and we can know they are safe in our yard and away from the main road and strangers. I would buy a ladder, some boards, construction adhesives or concrete to fix part of my roof which was damaged by the heavy rain during these days and some holes on the side walls. I have saved to put up a pergola in my back yard as my place to have some privacy and me time. I would buy heaps of plants and make it into a heavenly hideaway. I'd like to replace the side fence. It's such a total wreck. I would really love to buy an electric lawnmower so that I don't have to put my back out pulling the cord trying to start my petrol one! First I would get some roses. I love roses.Plus other perennials.Then I would let hubby have his choice. We all love our outings to Bunnings. The garden section is calling me first. A tropical paradise I desire. I would buy some new taps to replace the old ones which have the leaking problem. We would love to establish a vegetable garden so I would use the money to buy seeds, soil and some raised vege beds. I'm after some grout cleaner or some such things because eeew!! I would give it to my Mum, a perpetual Bunnings devotee on Saturday afternoons. But I’d go with her, as I love the smells of timber and the beautiful plants area. I’d also want to make sure she didn’t spend the voucher on anything too boring. I’d advise her on something like a 10 foot glowing Santa, solar powered of course, or maybe a money tree, but I’d settle for a premium door bell...that plays La Cucaracha. Funnily enough, if I won I would buy some new lawn for our backyard. We recently have had to re-lawn (if that is a word?!) our backyard, so we have been buying the pregrown lawn bit by bit (as we can afford it). Winning this would allow us to finally finish that project, and start on the next ... a vegetable and herb garden. It would be wonderful to teach Miss 1 how to grow food first-hand. I would buy some garden gnomes to decorate my small garden, which would give some fun to my little one while he's playing there. I'd love some new planter pots for my herbs. would love to expand our vegetable garden so we can grow more fresh veggies. I need storage for fabric, patterns, toys, old clothes, teaching aids, and everything else that I need to keep but don't actually use right now. I'm looking for some sort of shelving for the laundry. A new big rug for our lounge room would be a great addition to our home, especially in winter to keep the carpet protected! Some good soil, fertiliser and some yummy seeds to start our own garden, going to let the kids have their own mini garden to take care of and a larger one for the family. Would love to start growing my own food. I would buy some tiles to replace the broken ones on our stairs in front of my home. I'd buy an electric lawn mower for my hubby so he can make his way back to the house after he's done mowing instead of wandering off to a local pub! Well yes I love my lawn as last weekend I sprayed for clover and weeds. My lawn is in desperate need of some LAWN seed and air-rating. This is what I would use the money for. I would buy some plants to make my unit more GREEN and sustainable. My reno jobs list is a mess, ran out of money i confess, with a Bunnings voucher there is a huge load of tasks I can redress. I would buy my husband a new lawn mower as the one we currently have occasionally loses a wheel....and some nice shrubs for the garden beds. I would love to get some agg pipe and aggregate and put some drainage into our front and back lawn. They are shallow soil on clay and they are like wet muddy sponge that takes weeks of sunshine to dry after rain and then it just goes hard and cracks. As you can imagine I can't go near it at the moment with all the rain we have been getting. We have shifted in our new home and would use the voucher to buy some new venetian bamboo blinds for our home from bunnings. I would love to add some furniture to my backyard for the summer months - so a couple of chairs and cushions and a seat to store stuff in. I'd like to make a blackboard for the kitchen. A heater for our back pergola would be amazing, so that we can still have people over and entertain through winter. Lots of plants, planter boxes and child-friendly tools. My 5-yr-old daughter is really into gardening and I'd love to set up a corner of the backyard as her special gardening corner with all the plants she likes. My New Year's Resolution was to sort out the garage - I haven't even looked at it yet, so getting some storage shelves and boxes from Bunnings could provide some much needed inspiration! I could buy some plants and mulch and edging and make some garden beds to freshen up the front of our house. It could really do with a make over. I would buy outdoor chairs and table so my mum could enjoy the winter sunshine with a cup of black tea. I had to ask WM the answer to this as Bunnings is not on my list of places to visit! I would prefer $250 at my LQS or LYS but since that's not on offer, he said he didn't know! Can you believe it? DD! Who happens to be visiting, suggested we'd buy the swing seat I've been wanting for years! We are in the process of building a new house. A $250 Bunnings voucher would come in very handy since Bunning has got lots of building materials. We have pools of water sitting under our 80 year old house when it rains which has led to damp and mould issues..not healthy! So would love to improve our soils as you have suggested with gypsum from Bunnings. We need to get a new back door, noticed that the doggy door had been tampered with, time for something a bit more secure. My pathway needs some attention. Not sure what to do yet. I would buy some seeds for next year. PS I'd give it to Dad. He does all the manly things around here. I'd love to re-tile the bathroom. After the blinds in the kitchen falling down on me last night, I would love this to replace them with something new, that works! I would buy tile adhesive which has run out. We really need a decent blower/vac for our yard, the amount of leaves and mess is so annoying, have to sweep up every morning! Our lawnmower needs repair or replacing. Now which will I choose? I would buy exterior paint to paint the wood frames in my backyard. More supplies for my vegie garden! Seeds, seedlings and mulch are items I always need, and I'd love to start a worm farm to help enhance my little patch. I think I would purchase a cubby house for my children. Or some play equipment, like a slide and better swing set. I'm in desperate need of a bigger, newer mail box. Some new plants for our garden would be good, still looking bare after we did it up nearly a year ago! I would buy slug and snail killer for my garden. I would buy pink batts for my sewing area as it has no insulation and my toes and fingers are getting frostbite whenever I sew!! a chainsaw would be a great buy at the moment, get rid of all the annoying palm trees in our yard! I'd like to see if I can put a bookcase together somehow. I need more storage containers for newborn's clothes. I would purchase downpipes to stop my gutters emptying water onto the ground and some new eaves to replace the rotten ones that allow the cold air (and my cat carrying mice and lizards in it's mough) to get through. I'd love to put up some shelving or cupboards in the big shed. Would be great to buy a new cover for our pool to save it getting full of leaves during winter. Fruit trees. I would love to have a Meyer Lemon tree and a couple of the hybrid citrus trees to add to my backyard. My screen door needs a new locker, I would go to Bunnings to buy one. I need a pruner to use on my vines. Mine just does not cut it, literally. I would love to plant some bulbs in my garden like daffodils and jonquils to add some colour through winter. I could get some timber and build a deck at the back of our house (well some of it) so I could sit on the deck and sew while Amelia plays in the garden. I would buy a cobweb broom to give my ceilings a good clean. I would buy the supplies for my apple tree to protect the fruit from the rosellas. Some star droppers and netting should help to ensure that next year I can make apple crumble. some new guttering would be great, stop them all over flowing every time we get a big rain. A beautiful new outdoor setting would be fabulous. Weed killer is essential for me, it's so hard to get rid of the weed completely by hand. I went into Bunnings today and I saw some lovely backyard furniture that I would lvoe for summer. A comfy chair and bench with storage. Plus really cute chairs for the kids. I would love to buy a new BBQ for my husband for his birthday. One with a Roasting lid so we can roast meat outdoors in summer for Christmas lunch and keep the house cool. I'm wondering what kind of heating I could purchase. It's cold here. Our bathroom needs a lot of TLC so I would put the voucher towards that. I would get a lawn mower to make my gardening job easier. I would love to buy some native flowering shrubs to soften the back fence line at our house. We got a new fence with the neighbours and I cleared out several meters of Monsterio vine other shrubs and plants so we could pull down the old one. It was a mess but now it just looks bare and like a wall of colour bond fence topped with new colour bond shed on their side. I'd like to try my hand at mosaics actually. I have an old table that I would love to do the top of. I want a massive glazed pot to plant my giant birds of paradise tree. An automatic Dog Door! Why you ask… so that my Bella can come inside when she wants ensuring that she doesn't destroy my beautiful lawn all day when she get bored! Something to fix our leaking water tank...my half hearted attempts at silicon on silicon on silicon just hasnt worked for long! Need advice from the experts at my local Bunnings! LAST SUMMER WE INSTALLED AN ABOVE-GROUND POOL WITH THE INTENTION OF HUBBY BUILDING STAIRS AND DECKING TO SURROUND THE POOL (WHICH WOULD MAKE IT EASIER AND FAR MORE GLAMOROUS FOR ME TO ENTER THE POOL). WE WERE FORTUNATE ENOUGH TO BE GIVEN A LOT OF TIMBER SUITABLE FOR THE ACTUALLY DECKING ITSELF FROM A FRIEND. WELL, SIX MONTHS LATER, HUBBY'S PROJECT HASN'T STARTED YET AS HE SAYS HE 'DOESN'T HAVE THE RIGHT TOOLS' TO BUILD THE DECKING. SO THAT'S WHAT I'D BE USING THE VOUCHER FOR AND THEN HUBBY WILL HAVE NO EXCUSE NOT TO START CONSTRUCTION!! Some beautiful new pots for plants would be fabulous. We want to extend our pergola so I would buy timber, roofing and all the guttering we need to put it up. some plants for the garden to start our big crusade. I'd buy a whole lot of supplies - pavers, new plants, edging tiles - to make over our backyard! With our two rescue dogs it's a constant battle to keep the garden looking nice and we're losing at the moment. While my mum is away on holiday I'd love to surprise her and give the garden the makeover it deserves, so that she steps back to an unrecognisable paradise nicer than the one she's been holidaying in! I'd buy the gift that keeps on giving.. A Corrugated Raised Garden Bed! What a treat it would be to not only have fresh, home grown, herbs and veggies, but also have something that our kids can contribute to growing and caring for. I'd buy some tool boxes to tidy up my hubby's tools. I love my lawn, we put a lawn in for the kids to play and did you know that 100 square metre of lawn provides enough oxygen for one person per day! I'd buy some decking as we've got the lawn but no decking yet! Fertilisers, feed and compost for the garden from Bunnings will do the place justice come spring time. Definately would put it towards some of the huge wooden play equipment for the kids and those cute little green plastic chairs... SQUEE!!! Shelving and flooring for our new Loft Storage area so I can put all the needed but not everyday needed things into storage and get ready to renovate. Master Nine wants to create his very own vegie patch, so this would go a long way to getting him started. I'd like some sort of a sewing table. With lots of drawers. I don't know if I need to make it, but maybe yes. taking out a garden bed in our backyard, could really do with a wheelbarrow right now, rather than carrying buckets of dirt! a patch of grass and a more manicured space. Would love to throw in some plants for colour and some herbs for dinner. Thinking about it today I would love to get some new lighting for our house when we renovate - a new more inviting front entrance light and something less 70s asia more art deco reproduction in keeping with the period of the house for our new master bedroom.